Insurance solutions for peace of mind. Protecting your client assets/valuables/collectibles/jewelry now, for future generations. Big “I” Markets offers agents access to Jewelers Mutual, an insurer dedicated solely to jewelry since 1913. Retain clients with a separate specialty policy and reduce stress on homeowners carriers. The 2018 hurricane season began June 1 in the Atlantic and runs through November 30. These windstorms can significantly affect you and your customers. 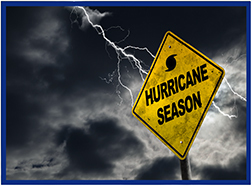 Help keep your customers prepared during this hurricane season. Please check out and share Selective's hurricane prep guide with your clients. This social media package includes content to share with your clients, including advice on what to do before, during and after a hurricane. Big "I" Flood and Selective deliver members an unparalleled flood program. Together, we offer agents several layers of support to meet any and all flood insurance needs. The Big "I" and Selective staff of experts can help with all of your flood needs and questions. With personalized support, competitive commissions, and an easy-to-use quoting platform, it is an easy decision to start writing your flood business through the Big "I" Flood-Selective partnership today. Learn more at iiaba.net/Flood or click here to find your Selective Flood Territory Manager. 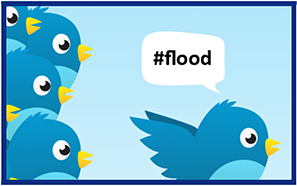 We encourage Big "I" Markets agents to follow our endorsed partner Selective on social media to stay up-to- date on information related to flood. You can visit Selective online at selective.com, or learn more about the Big "I" Flood program at www.iiaba.net/Flood. The start of flood season is an ideal time to spread the word about flood insurance coverage and safety. You can use ready-made tools from FEMA to "flood" social media with relevant messages to get your clients thinking and talking about flood. You can copy these messages directly or customize them to reach your audience. Visit www.ready.gov/flood-toolkit to download your free resource kit now! To learn more about ways to engage your clients regarding flood insurance click here to find and consult with your Selective Flood Territory Manager. Congratulations to this week's winners - Linda Gammill (MS), Alan Berstein (CT), Brad Frideres (IA), Steve Ward (SC), & Helen Goss (NH).